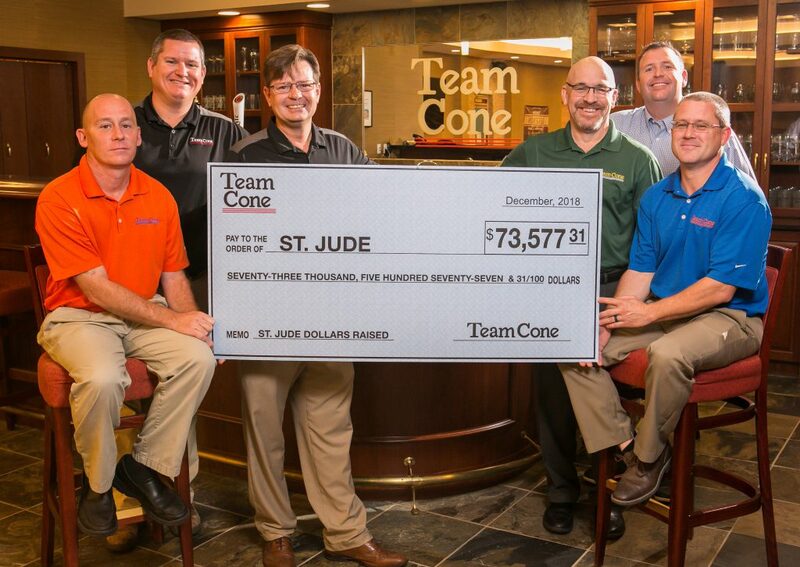 Ocala- and Tallahassee-based beer distributor Cone Distributing (Team Cone) combined forces with members of the community to raise the largest donation to St. Jude Children’s Research Hospital in company history: $73,577. 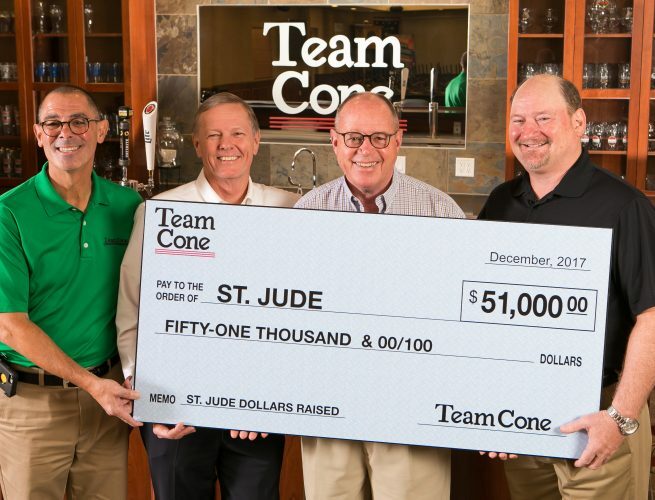 For the last ten years, Team Cone has worked together with bars, restaurants, and retailers to raise money for the ground-breaking research done at St. Jude. This is the tenth year that Team Cone has hosted events and community activities throughout their 22-county footprint to make a large donation to the hospital. Each year the beer distributor has exceeded totals from the previous year. Planning and progress are already underway for Team Cone’s 2019 St. Jude fundraisers. Team Cone’s goal in 2019 is an $80,000 donation. If your business works with Team Cone and would like to help with our fundraising efforts, please reach out to your Team Cone teammate. Founded by Douglas P. Cone, Jr. in 1985, Cone Distributing (Team Cone) began selling five brands of beer in four rural counties. Two years later, the company began expanding and has not stopped since, building the largest geographic footprint in Florida for a beer distributor. Today Team Cone sells beer from over 40 suppliers in 22 counties from a state-of-the-art facility in Ocala and a warehouse in Tallahassee. Cone Distributing’s goal is to operate a World Class company, distinguishing itself by doing the Right Thing the Right Way All the Time. 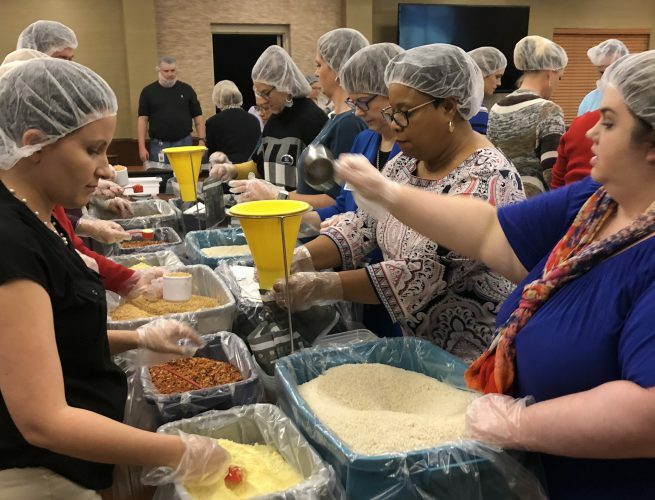 Team Cone's Human Resources Department joined forces with the Ocala Human Resource Management Association to fill over 5,000 meals for distribution within the Ocala community.